It is easy to decorate where the space is adequate but decoration of a small dining room is a challenge. It is an art to make a smaller room look larger. The maximum use of space can give a feel of spaciousness. Here are some ideas to decorate a small dining room. First of all take measurement of the room and according to the size of room purchase dining table. Finding perfect space saving dining table may give the feel of largeness. Round or square table is perfect for small dining room. You can place round table in any corner of the room. Square table also requires less space than rectangular table. 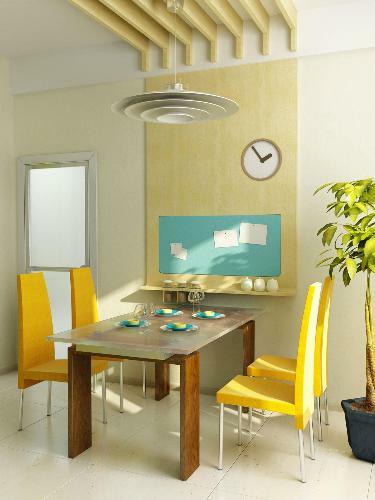 If there is not much space for dining, go for a folding dining table. You can use a table for both study and taking meal. 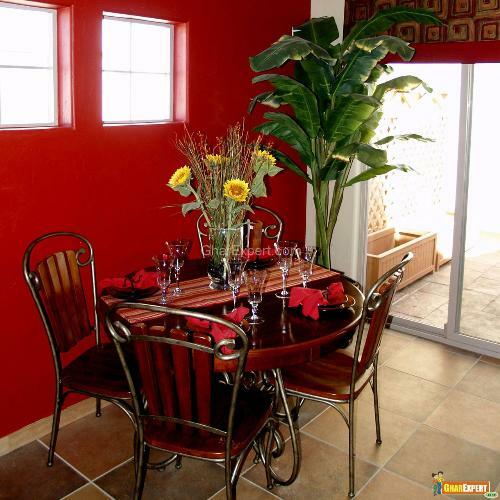 If you have a small dining room, try following interior decoration ideas for making dining room spacious. 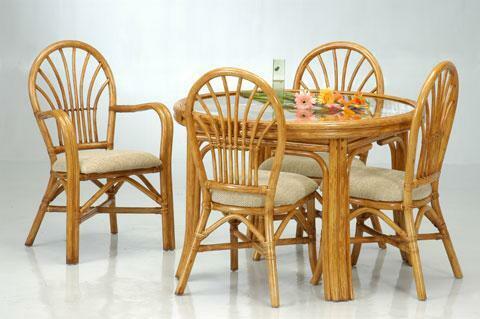 Light furniture like bamboo and cane furniture is available in market and requires less space than wooden furniture. The top of table is covered with glass, the transparency of which gives the feel of largeness. A small dining area can be located at the end of rectangular living room. 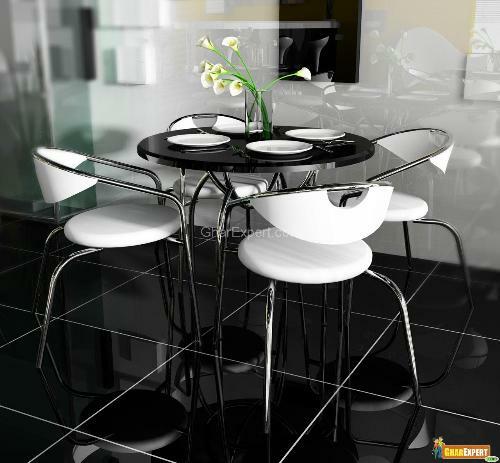 Circular dining table and small chairs or stools are perfect for this area. In kitchen a corner can be turned into a small dining area. Try apt color theme such as light color for walls that gives sense of more space. Use shades of same color for walls. More than one color makes the room look small. Big windows in dining room makes it look large. Built in shelf under window can be used as china cabinet. Curtains should be of soft color. Avoid heavy and dark color curtains. Go for long stripes which will add to the length of the room. Do not use big paintings for wall decoration. Keeps one painting instead of couple of paintings? Diagonally installed wooden flooring will enlarge the space. White tile flooring also make the room look bigger. Keep the room clean and clutter free. Clutter makes the room look smaller. Mirror and glasses can be used to make room look bigger. A mirror placed at the end of room doubles the space of room. Wrought iron frame mirror are popular for decoration and are available in antique styles. The skirting of room can be blended in with floor so that there is no line between floor and wall. This will give feel of big room. Cabinets provide decorative and functional storage features. These are available in various colors and are used to store large items or heavy grocery items. SMALL KITCHEN FOR A SMALL FAMILY.